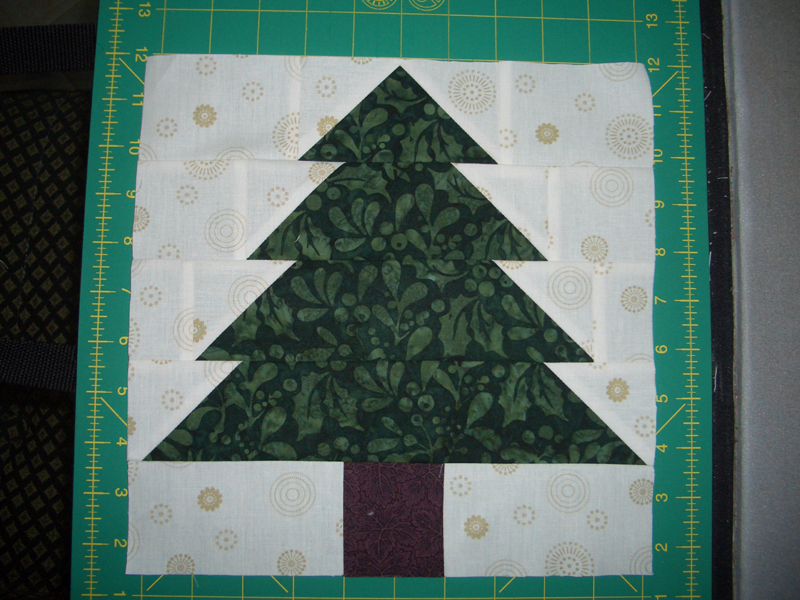 This week I am working on my Happy Birthday Quilt. I have about half of the half square triangles complete, with some to press and some to still sew. This quilt takes 672 of them. 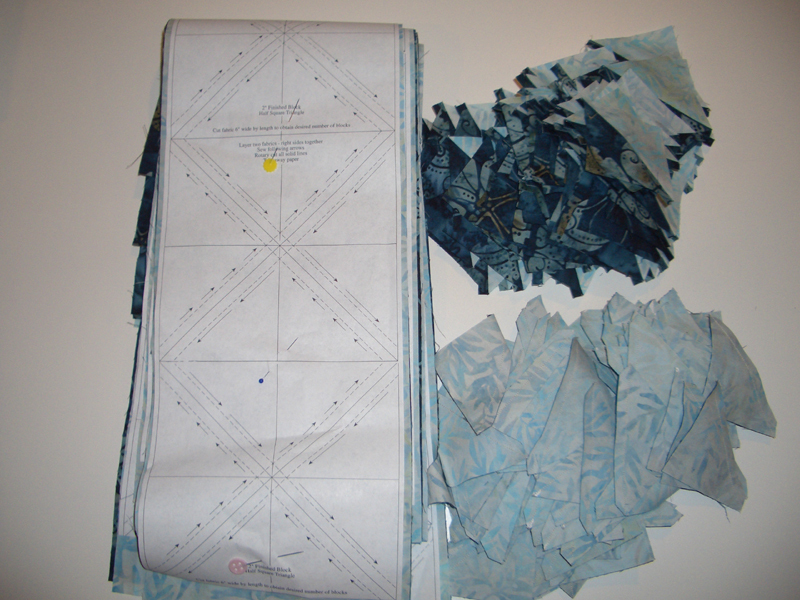 Would like to complete this as soon as possible as I am getting ready to join in on Bonnie Hunters Mystery Quilt, Orca Bay, which starts on November 18th. The fabric list has been posted and Bonnie's colors will be red, blue, black, neutral. I am thinking of using green, purple and maybe gold or black with the neutrals. I will be using only fabrics from my stash for this one. I have also finished the Block of the month for Sunshine Quilt Guild which meets this Tuesday night. It was a pretty simple one and right in time for the Holidays. Below is my finished Block. Have a great week and get in some sewing time! For inspiration, check out all the other Design Walls at Patchwork Times. Love you tree! Puts me in the spirit! Love your tree block. I'm getting excited about Bonnie's new mystery too. Your color choices sound great. Love the tree block!! Hurry up with the Birthday quilt, the mystery is right around the corner. I'm doing purple, green and blue. I just love any tree block and yours is very nice! I'm going to do Bonnie's Orca Bay Mystery also and I'm using pink/lime green/dark brown/ and white. Can't wait!